I came to the Arc via my good friend and long-time collaborator Mark Boergers. Our first collaboration as director/movement coordinator was in his first vision of Oedipus in Marquette University’s Studio 013 Theatre in 200…. well, we won’t say. Mark and I have for years traded ideas about story-telling in performance, training technique, and the performer-audience connection. We’ve connected via our mutual love of how the epic and archetypical are timeless and valuable and educational, not only as artists but as humans in our society. My role in this production was to lead a weekend of movement workshops to kick off the rehearsal process. Collaborating with Mark and the whole team, we worked on exercises that allowed the actors to explore their individual and collective impulses to begin creating the world of Oedipus as well as their characters. Not sure what the outcome would be, I used prompts from the dramaturgical packet, the director’s notes, and the designers’ insights. Seeing the costuming designs, we worked with the prompt of coil and uncoil. Mark’s interest in opposites sparked such prompts like “create and destroy” and “idolize and villify.” We explored fetishes. And secrets. I’ve typically come to a rehearsal process to help develop character or block movement during more nonverbal or dance sequences, so this experience brought new and and interesting challenges for me as well as the actors. We are still at the point of settling on casting and characters, defining props and set and lights. 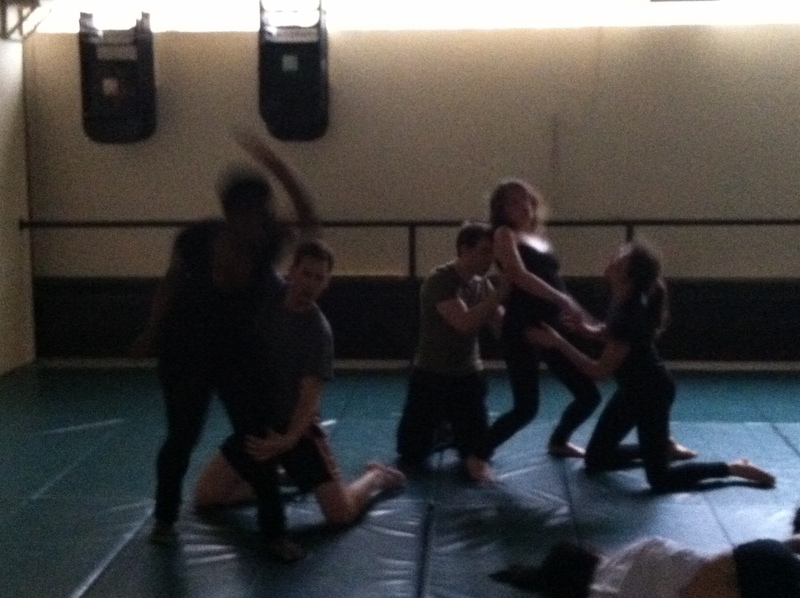 So this experience was about creating an trust and commonality in the ensemble and really exploring possibilities. We took a lot of notes and shared a lot of observations. I videoed some of the work that could be potentially used by Eve and Jess as they solidify the movement in certain scenes. But no pressure- it was just an opportunity to enter a process together, which is rare. It’s rare to take the time in a rehearsal to go back to exploratory work, for the individual or as an ensemble. So rock it out, Arc! Way to honor the work, the story, and the humans involved!